It’s all very well pushing technology and new methods of working, but more evidence of efficiencies and impact on the bottom line is needed before we can expect widespread acceptance, suggests Denise Chevin. This article first appeared on BIM+’s sister magazine Construction Manager. As construction continues to digest the stark “modernise or die” message of the Farmer review, one of the liveliest debating points is, what role does the client play in this transformation? The government has got the ball rolling by insisting that all public projects adopt building information modelling across their supply chains. Though adoption is still patchy, particularly among smaller firms, the edict has triggered action. But there comes a point when investing in the future has to pay back. Companies want to see a clear correlation between investment and profit. For all its huge turnover, construction doesn’t have deep pockets: it needs to see quick payback for those investments in new technology and modern methods of construction. Unfortunately, those that follow the Farmer vision don’t always reap the benefits. Take Laing O’Rourke. Despite training its own workforce and investing heavily in offsite manufacturing and other technology, it racked up hefty losses last year. Meanwhile, volume house builders have continued to post huge profits on the back of the status quo. By demanding construction companies comply with Level 2 BIM, public sector clients have at least created a level playing field for the construction industry – there’s no option but to invest. On the whole, the private sector wants a good service from its constructors and consultants, but what it does in the machine room is its business. So, without market disruption, can we move on sufficiently quickly from the bad old ways? Construction often does best when a client demands change and flexes its muscles to make things happen. 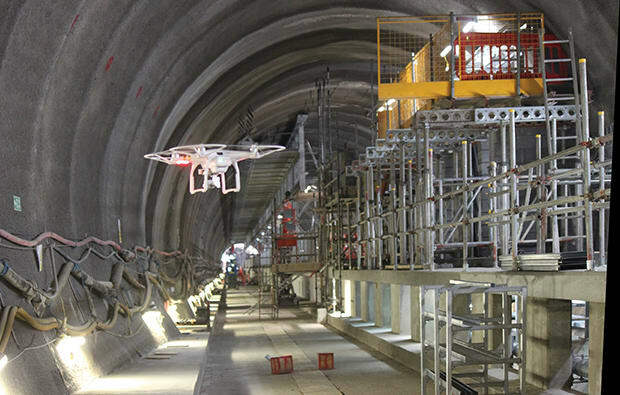 Crossrail asked contractors to pay £25,000 into a research and development club to share new ideas and technology. The venture is now continuing separately from Crossrail as the Infrastructure Industry Innovation Platform i3P. Similarly, it was Asda’s fiat that pushed small architectural practice James & Ward to embrace BIM. The firm says it’s now 70% more efficient and has a more diverse client base as a result. Initiating impactful change is clearly something from which not only bigger companies benefit. Aware that clients can drive industry-wide, long-term change in a way that contractors, beholden to the City, rarely can, Farmer suggests taxing them if they don’t buy construction work that drives industry innovation or skills development. Intriguing, but it’s difficult to see how it would work. We need to start collecting more hard evidence linking new construction technology and BIM directly to efficiencies and the bottom line.